The combination of solid wood layer and plywood gives excellent dimensional stability and prevents expansion and contraction of natural wood amid the changing air humidity. Multi-layer oak parquet is undoubtedly the most environmentally friendly solution for wooden floors as it uses minimum of slow growing fine wood for wear layer only. Parquet is the only floor covering which can look as good as new after decades of use. Wear resistance of oak in tandem with birch plywood stability gives a lifetime of worry-free usage up to 100 years. "We produce the best and don't do the rest"
From the earliest days of parquet production, we were not focused on manufacturing a wide range of products; we wanted to make the best wooden flooring, so that eventually we came to produce the only one type of product – multi-layer single strip parquet boards. 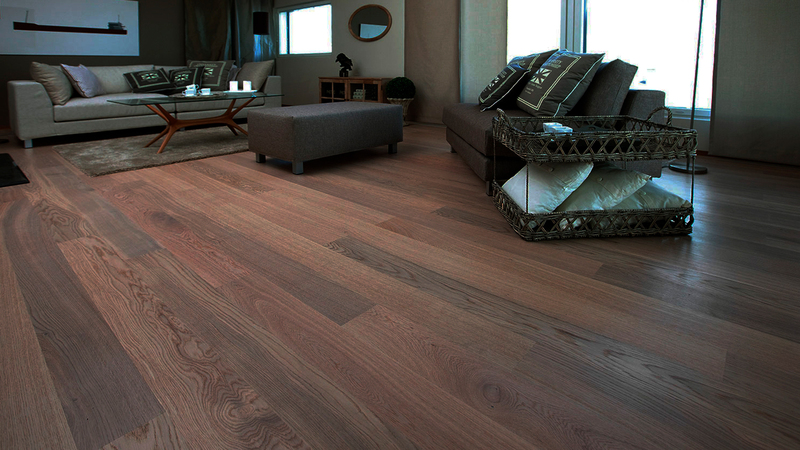 We believe that this is the best floor covering that can be made from wood. 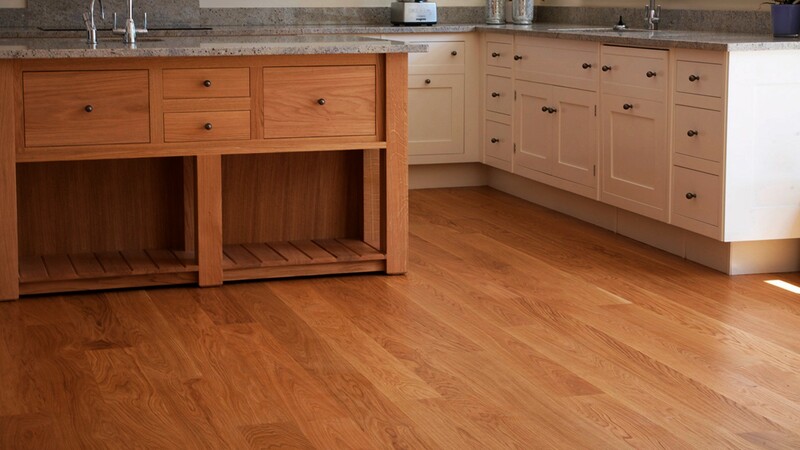 It has all the practical and aesthetical benefits of oak flooring with none of disadvantages. Best construction – perfect tandem of solid oak appearance and plywood stability. Best wood – oak, the quality and beauty of European oak cannot be matched. 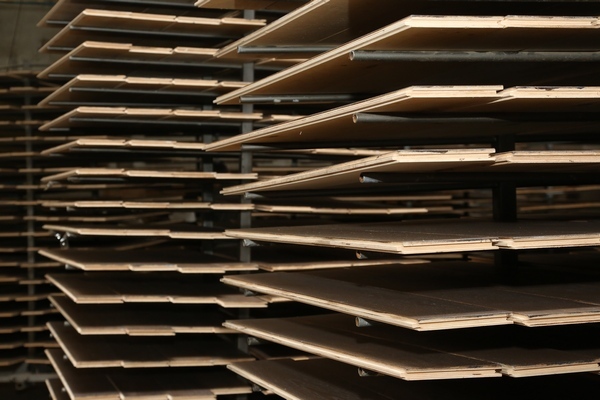 Best plywood – birch plywood, the most stable wooden material. Best glue – polyurethane with the highest strength and water resistance. Our company's philosophy is expressed in one sentence: "We produce the best and don't do the rest". Multi-layer parquet provides exceptional stability, strength and durability thanks to its engineered cross-ply construction. The plywood support base of multi-layer parquet boards with its transversal layers laid perpendicularly to the grain of the hardwood top layer assures maximum stability. Nine crosswise assembled layers of the support base offer great resistance to the natural expansion and contraction of the hardwood top layer resulting in superb equilibrium and stability in the structure of each single plank. This gives the appearance of solid oak and the same wear thickness of solid parquet but due to birch plywood with a cross grain construction there is no movement within the board. With the increasing use of under floor heating multi-layer parquet has become even more popular. It is recommended for use with under floor heating systems. This type of board more than any other wooden flooring is suitable for the use in areas where there is higher moisture, i.e. kitchens and bathrooms. Because of the stability of multi-layer parquet you can use it floating for large surfaces without thresholds. Parquet is the only floor covering that can look as good as new after decades of usage. It simply needs renovation (sanding) and a new surface treatment. The structural characteristics of the support minimize defects caused by the climate. Thanks to the exceptional stability of the product, the surface will remain perfectly level as time passes. 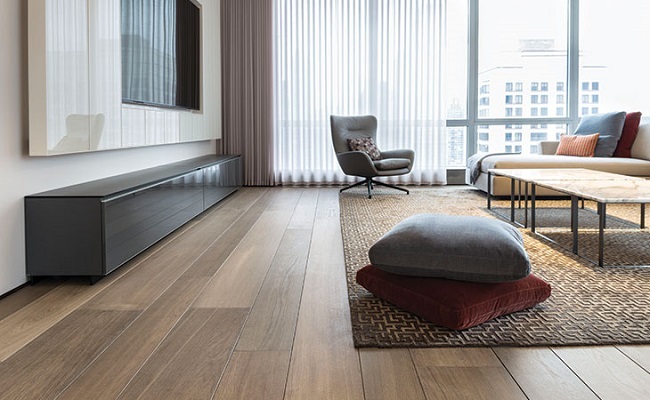 Minimal removal of material (about 0.3mm) entirely restores the original beauty of the floor. Sanding will only be necessary when there is a need to eliminate normal wear and tear from the surface of the floor. With its thick hardwood surface, as with a solid wood floor, multi-layer parquet can be sanded and sealed many times. Therefore, wear resistance of oak working in tandem with birch plywood stability gives a lifetime of worry-free usage possibly over 100 years. Multi-layer parquet has a thick solid oak top layer so it can be stained, aged, etc. to achieve the desired finish in exactly the same way as solid oak flooring. The non-deformity property of the product reduces the risk of gaps. A stable product makes it possible to produce boards of larger dimensions: longer and wider than the boards of traditional products. This is the aesthetical advantage of the floor too. Each individual layer has its own role to play. On top, for aesthetics, the finest species of hardwood; below, for technical reasons, the resistant, fast growing wood species. This way, technically superior product matches up with correct and rational use of the forests. In addition, the long lifetime of multi-layer parquet has a positive effect on the environment. So, multi-layer parquet is the most environmentally friendly solution for wooden flooring.